GLENDALE – The upcoming “Black Panther” movie, which had the highest first-day ticket presales of any Marvel movie, is one of the latest examples of what some say is a controversial push for diversity by major players in the comic book industry. The title character, Black Panther, was one of the first substantial black characters in a major comic book series, and he has grown in prominence over the past 50 years. 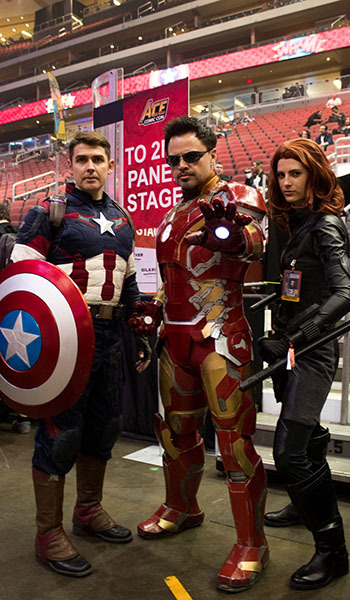 Some attendees at Saturday’s ACE Comic Con in Glendale said the movie – set for February release – as well as diverse new comic book characters, show that the industry is slowly changing. 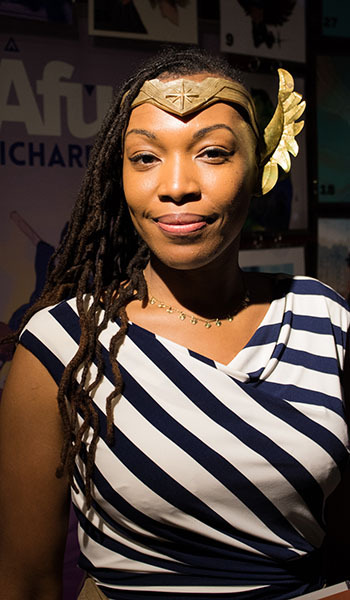 Comic book illustrator Afua Richardson, who has worked on several Marvel projects, including the “Black Panther” spin-off “World of Wakanda,” said the company is focusing on diverse creators. However, it can be difficult for the audience when beloved characters change over time, she said. Recently, Miles Morales, a multi-racial character, became the new Spider-Man, a character who typically has been portrayed as a white man. Some fans expressed anger at the reimagined classic character, but comic book enthusiast Jonathan Rivera applauded the change. Rivera and other Comic Con attendees said they’re slowly seeing more characters they can identify with. Roo Garcia said it was meaningful for her to read a stand-alone comic book that featured “a queer Latina woman.” She attended Comic Con dressed as the character, America Chavez, as an homage.